I was invited by Master Bon and Master Neresini to lead a week long private teaching and weekend public workshop. Here is short report and some pictures from sweet northern Italy district Veneto. 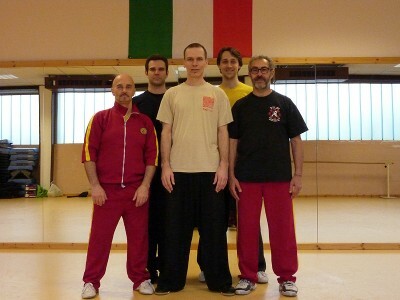 We started on Tuesday morning with private group (photo below) with Master Bon, Master Neresini, Daniele Maitan and Marco Rossato. 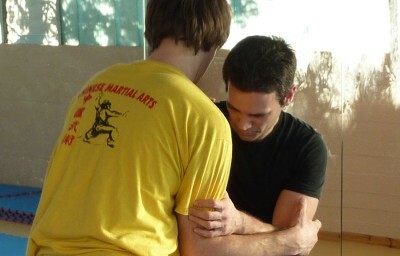 We worked on basics, Yilu, push hands drills and applications based on Yilu movements. After delicious lunch we repeated stuff from morning and add some free push hands. Usual daily load was about 7 hours of practice. 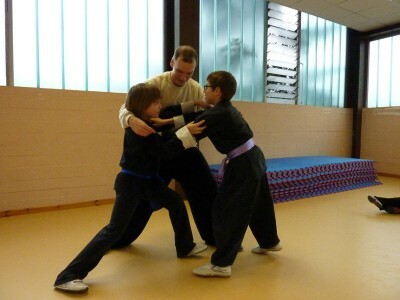 After that I leaded public children and adult lessons in towns nearby (Valdagno, Schio, Vicenza). Children’s lessons was big experience for me. 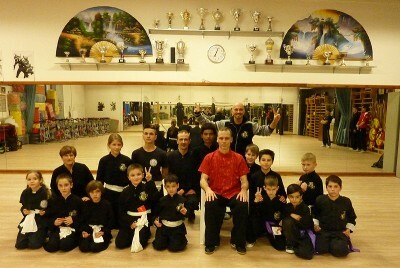 Thanks to this lessons I understood clearly what Master Chen once mentioned: “Your mind has to be as a child’s mind!”. Since the very beginning of class I was surprised that children did exactly what I had told them. No questions. No doubts. No thinking. They just listened a did the moves I ask them to do. Big credit for Master Bon. 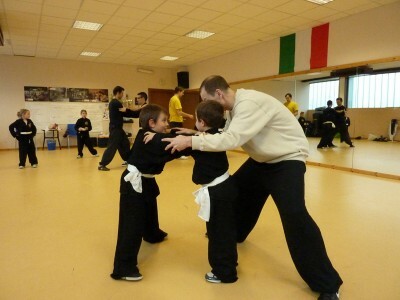 His students are very disciplined and that made my job much easier (If you are in Veneto area, Master Bon school is good choice where to start learn Gong Fu). On weekend we held public workshop for all Practical Method students from area. More than 20 people showed up. Program was similar to what we did during week with some extensions. (I don’t have pictures from weekend, so I have to wait till I get some from Italy, and post them later). I would like to send big thank to Master Bon and Master Neresini, who sponsored and arranged this event and welcomed me with great hospitality. I enjoyed the week very much! Thanks! So I look forward to see Italians brothers as well as others from around the world in Daqingshan! See you there guys! 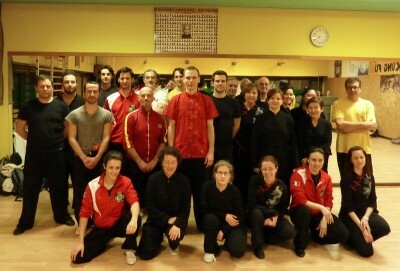 After reading Master Codl’s comment, Master Bon and I would like to thank Master Chen a lot for giving us the great oportunity to have Master Codl practising with us. He led our groups with great enthusiasm and professionalism! In my opinion working toghether with Master Codl has been a great occasion to better our understanding of the ART and in the meantime, step by step, to get trained for the Daqingshan event in May. Thanks a lot Master Codl for your generosity, professionalism and patience on behalf of the whole Italian group.